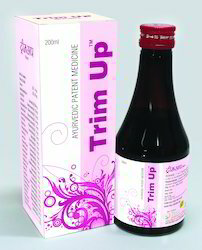 Our product range includes a wide range of Gynaec Products Range... such as Herbal Gynaec Tonic - Trim-up Syrup, Herbal Capsules Infertility, Herbal Haematinic Syrup Ayuhem, Regulet Capsule for Female, Herbal Gynaec Diseases Remedy Trim Up Capsule, Herbal Anti- Bacterial - Trumph Capsule and many more items. Non-specific Leucorrhoea, Dysmenorrhoea, Menorrhagia, Uterine Bleeding, Concomitant low Back Ache & Anaemia. 50 % advance along with purchase order. Packaging Type A Blister Pack of 3 x 10 Capsules Mono Pack. Garbha Dharak Yog 75 mg.
Packaging Type Pet-Bottle of 200 ml with attractive outer pack. Packaging Type A Box Pack of 10 x 10 Caps. Vranapahari Rasa (R.T.S.- I) 50mg. Arogya Vardhini (R.T.S.- I) 50mg. Godanti Bhasma (R.T.S.- I) 50mg. Manjistha Roots (Rubia cordifolia) (A.B.) 40mg. Sat Loban (Polygonum alatum) (A.B.) 25mg. Kamdudha Rasa (R.T.S.- I) 15mg. Tulsi Panchang (Ocimum sanctum) (A.B.) 10mg. Vasaka Leaves (Adhatoda vasica) (A.B.) 10mg. Chronic & Acute Respiratory Tract Infections.Recurrent Urinary Tract Infections.Skin & Soft Tissue Infections. Morinda citrifolia 200 mg. Spinacia oleracea 200 mg.
Packaging Details: AYUHEM Syrup :Pet-Bottle of 200 ml with attractive outer pack. Packaging Type A Box Pack of 10x10 Caps. Irregular Menstrual Cycle, Amenorrhoea, Dysmenorrhoea, Oligomenorrhoea. Packaging Details: A Box containing one Blister pack of 10 capsules. Up-dated Therapy designed to regulate Feminine Rhythmus. Menorrhea & Dysmenorrhea. Unexplained infertility. Irregular Cycle. Menopausal Syndrome. 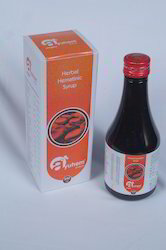 Packaging Details: TRIM-UP Syrup : - 200 ml Pet Bottle with Attractive Outer Pack. Packaging Type 200 ml Pet Bottle with Attractive Outer Pack. 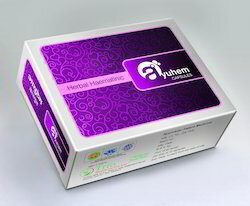 Pack Type A box contain 10 strips of GALACTIM Capsule, each of 10 capsule. Therapeutic Uses : Herbal Brest Milk enhancers for lactating women. Indications : According to Ayurveda breast feeding is the easiest The healthiest way to feed a new born, as the milk is rich in nutrients. Reduces the chances of infection increases the immunity System of the body. 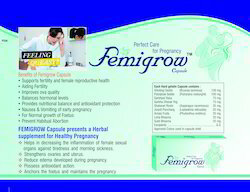 Increases Serum prolactin level thereby increases lactation. Improves stimulates Optimum of Breast Milk. Packaging Details: A box contain 10 strips of GALACTIM Capsule, each of 10 capsule. Packaging Size 200 ml Pet Bottle with Attractive Outer Pack. Packaging Type A box containing 10 blisters packs each of 10 Capsules. Up-dated Therapy designed to regulate Feminine Rhythmus. Menorrhagia & Dysmenorrhoea, Unexplained infertility, Irregular Cycle, Menopausal Syndrome. Packaging Details: A box containing 10 blisters packs each of 10 Capsules. India is a developing Country and rural women are not so advanced here as compared to western countries. There freedom is still restricted as they have to abide by the rules, regulations and social conducts as a part of tradition. Due to shyness and an attitude for making sacrifice, most of Indian women do not care about their health. As a customary thing, Indian females serve their family members at the cost of their own health. LUGYL Capsule a Single therapy covering Varied Gynecological Problems. LEUCORRHOEA the most common complaint suffered by woman in Afro – Asian Countries. LUGYL is an elegant and effective Ayurvedic formula for Non – Specific Origin LEUCORROHOEA. It checks excessive secretion, relieves associated symptoms like general weakness, low back pain anxiety etc. The effect of LUGYL is fast and provides immediate symptomatic effect and relief due to Astringent Action. Non-Specific Leucorrhoea, Dysmenorrhoea, Menorrhagia, Uterine Bleeding, Concomitant low backache & Anaemia, Ensures sustained results, specially in premenstrual tension associated with excessive physician. 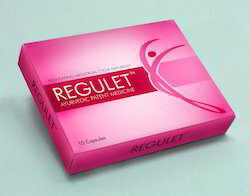 PRESENTAION :A box contain 10 strips of Lugyl capsule, each of 10 capsule. & A Plastic jar pack of 250 Lugyl Capsule. Packaging Size 1 x 250 Tabs. Category Non-specific Leucorrhoea, Dysmenorrhoea, Uterine Bleeding, Concomitant low Bachache & Anemia. Dose 1 to 2 Tablets 2 to 3 times a day or as directed by the physician. Saraca Indica (A.B.) 40 mg.
Withania Somnifera (A.B.) 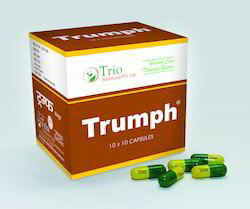 20 mg.
Packaging Details: TRIM-UP Capsules : - A box containing 10 blisters packs each of 10 Capsules. A plastic jar pack contains 250 Capsules TRIM-UP Syrup : - 200 ml Pet Bottle with Attractive Outer Pack. Amala Fruits (A.B.) 75 mg. Anemia, Pregnancy & Lactation, Iron & Calcium Deficiency, Malnutrition, Convalescence and Post Operative and Post Natal Cases. Increases the Quality Quantity of Brest Milk Naturally….. In Ayurveda Mother’s Milk is Compaired to “NECTOR” or “AMRUT” that blesses one with a long life. • According to Ayureveda brest feeding is the easiest The healthiest way to feed a new born, as the Milk is rich in nutrients. 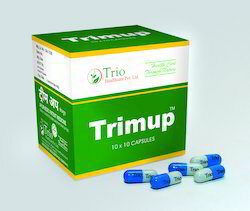 • Reduces the chances of infection and increases the immunity system of the body. • Enhances the production of Brest Milk in Lactating mothers. • It boosts her immune system and enables it to fight off Various forms of infection. • Improves stimulates Optimum of Brest milk. • Restores emotional feminine balance. DOSAGE :2 Capsules two to three times in a day with milk or as directed by the Physician. PRESENTAION :A box contain 10 strips of GALACTIM Capsule, each of 10 capsule.